strives to create an environmentally beneficial way for everyone to get rid of unwanted items while giving the opportunity to people in need to buy quality clothes at an affordable price. By re-using and re-wearing second-hand clothes, not only we make a difference in people’s lives, but we also save precious natural resources, reduce pollution, and prevent the emission of the dangerous greenhouse gasses. We understand the power that recycling used clothing can have on people and the planet. We strive to make a difference, to strengthen communities, and to create a healthier environment. 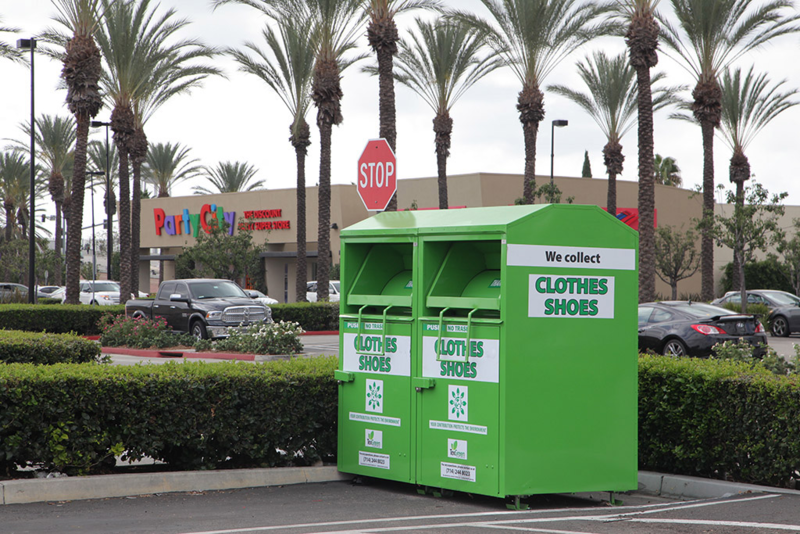 The collection of unwanted textiles is performed using well-maintained metal collection containers, positioned at various retail and residential locations. 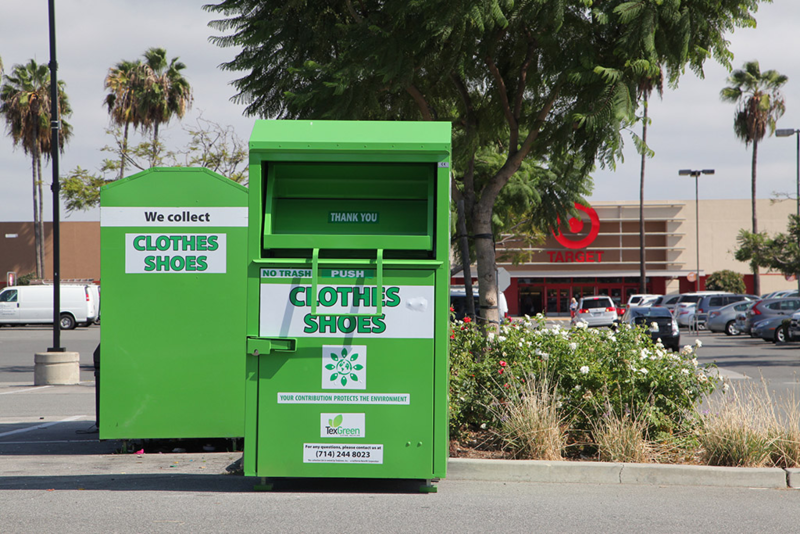 We take the process of bin placement very seriously, making sure we are only collecting clothing from the most prosperous cities in the United States and Canada. Our collection containers differ from others by their exceptionally clean appearance as well as their bright and fun color. Once the positioning of the donation bins is complete, our professionally trained drivers perform a minimum of two regular visitations per week of each location. The drivers empty the content of the containers, then clean the collection bin and the surrounding area, ensuring a pleasant experience for any person making a donation. Once the collectors have completed their round of locations for the day, they return to the warehouse, where all the collected clothing instantly gets bailed straight from the collection truck. Our collectors make sure that absolutely no trash gets mixed with our used credential clothing; instead, the collectors separate it, using a particular kind of trash bag, and dispose of it, before ever entering the warehouse for bailing.